HomeMortgageDiana Clement: Should I break my mortgage? Do you kick yourself when mortgage rates fall? 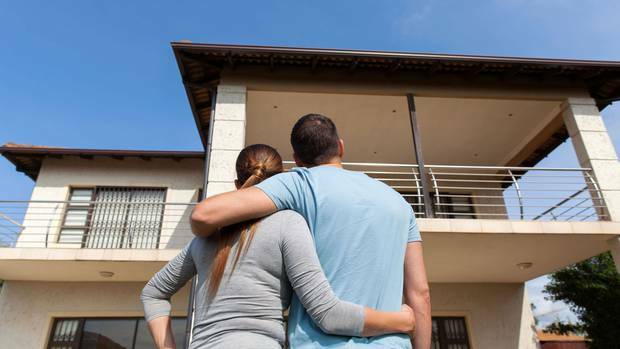 Many Kiwis regret having fixed at a higher rate when rates continue to nosedive. The trouble is that you may have to pay a break fee to get out of your existing mortgage. When rates plunged in 2008 many borrowers were desperate to escape the contracts and angry when banks hit them with astronomic break fees. These days the banks can only claw back the actual loss, says Sue Tierney of Sue Tierney Mortgages. Tierney points out that lenders are legally allowed to charge break fees. It means you’re probably not going to be better off overall once you’ve paid the break fee. People generally fix for one of two reasons, says mortgage broker Geoff Bawden, of Bawden Consulting. Either they want some certainty around their level of outgoings or they think the new rate is a good deal. Tierney says the certainty of knowing what you are going to pay for the period of the fix makes up for paying a little extra should rates fall before the end of the fix. Bawden says he doesn’t have a lot of sympathy for the banks and their fees. He is on their side, however, when it comes to break fees. “People fixing mortgage interest rates should understand clearly that they are entering into a contract which very simply states that they agree to borrow a certain amount of money for a certain period of time at a certain rate. You take a flutter when you sign up for a fixed rate. If the rates fall, you lose. Mortgage broker Campbell Hastie of Go2Guys points out that no-one can really predict what markets are going to do. That means fixing is always going to be a gamble. You could break your mortgage at a cost, re-fix then find they go down again. It costs nothing to ask the bank if you can break. You may be lucky and get off the hook if there is no cost to the bank. If you do manage to get out of your contract make sure you think deeply about your next move, says Tierney. Whose interest is the break in? There has been noise lately about mortgage brokers’ having a conflict of interest. They earn commission when clients take out new mortgages. Reports from the Financial Markets Authority and Reserve Bank of New Zealand here and regulators across the ditch suggest commission can drive the wrong outcomes. So, do ask your broker what they will earn from the transaction and consider whether there could be a conflict of interest. Mortgage brokers can earn $4000 when you sign up for a mortgage. Banking Ombudsman Nicola Sladden adds: “Consumers are entitled to ask for information about the relationship between the mortgage broker and any banks, including information about remuneration structures. The laws governing disclosure for mortgage brokers are currently under review and disclosure requirements are likely to be strengthened.” Don’t be the customer who is too embarrassed to ask. Banks and mortgage brokers often recommend splitting your mortgage in three. One portion is on a floating rate so that you can overpay and also take advantage of falling rates should that happen; one third on a short-ish term rate and one slightly longer.